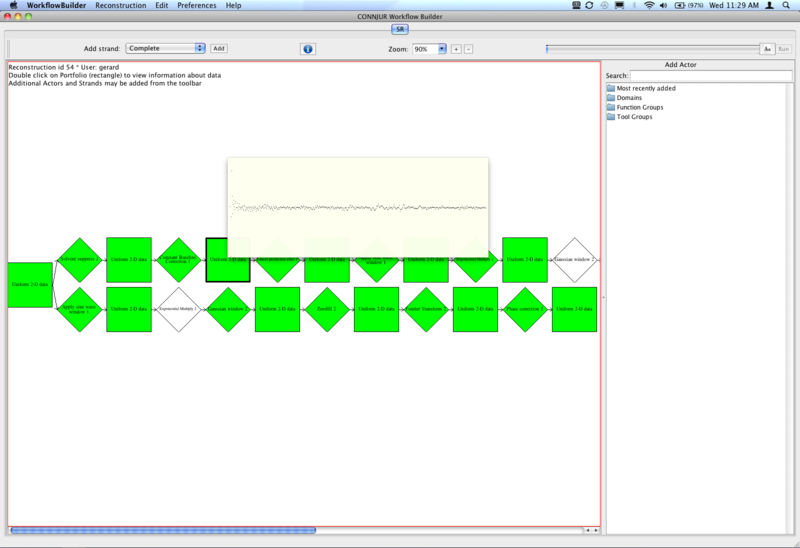 The user begins by adding processing 'actors' (large boxes) with 'portfolios' (small boxes) to the screen. Workflows are created by connecting the output portfolio of one actor to the input of another. 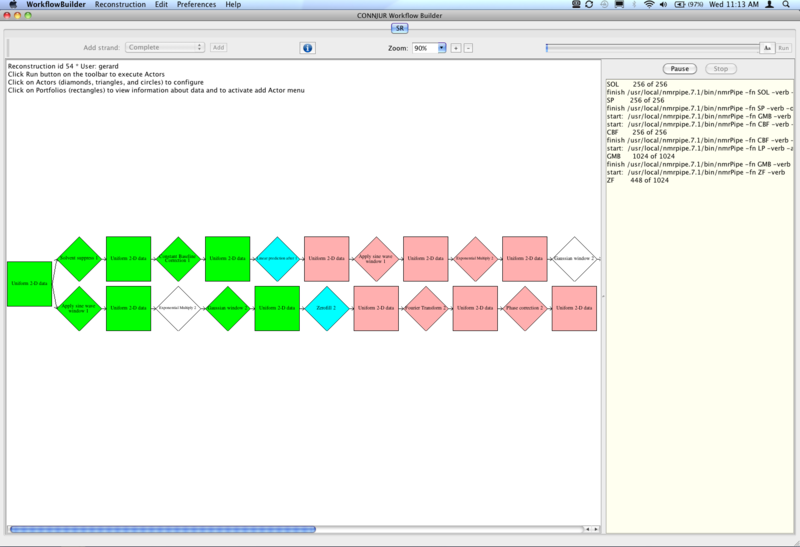 The directionality of the workflow is left to right. As illustrated in the above workflow, an output portfolio can be used as input to many actors, producing a forked workflow. Actors provide the modular processing desirable for NMR spectral reconstruction. At any node along the workflow, intermediate data can be saved, viewed or exported. Weatherby, G., Sesanker, C., Fenwick, M., Vyas, J., Ellis, H.J.C., & Gryk, M.R. 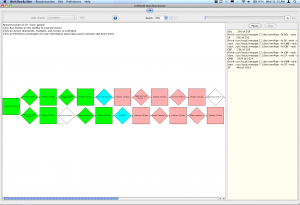 (2012) CONNJUR Workflow Builder: An enhanced actor set for spectral reconstruction of NMR data. Poster presented at the 53rd Experimental NMR Conference, Miami, Florida. Abstract published in conference proceedings. Weatherby, G., Vyas, J., Nowling, R.J., Ellis, H.J.C., & Gryk, M.R. (2011). 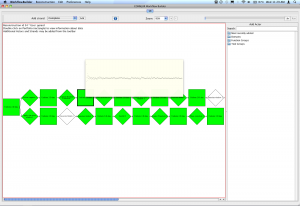 CONNJUR Workflow Builder: Open Source software for Spectral Reconstruction of NMR Data. Poster presented at the 52nd Experimental NMR Conference, Asilomar, California. Abstract published in conference proceedings.